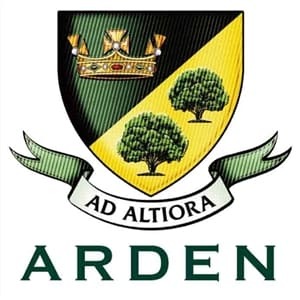 Arden Academy is a High Performing Specialist Academy for 11 – 18 year olds in Knowle, Solihull. The school prides itself on doing the very best for every pupil, helping them achieve their full educational potential as they develop into happy, well-rounded young adults. One of the biggest reasons for upgrading the system was an unusual concern in relation to the school’s grounds. The school has a public footpath running through it. It is closed during school hours to protect students but is open out of hours, something that presents an obvious security risk. The school also wanted to provide a better level of overall safety and security, as well as safeguard students more effectively and improve behaviour between lessons. Ecl-ips recommended that Arden Academy use HD CCTV equipment from Avigilon. Its products are used in thousands of sites around the world and it is a particularly popular choice for schools because its components can be customised to provide a cost-effective camera solution. The system would give Arden the quality and reliability of images they needed and make it easy for them to retrieve images to review incidents on school grounds. Ecl-ips installed various cameras inside and outside the school buildings. The cameras give complete coverage and peace of mind. All the cameras have infra-red emitters so the school has complete coverage even in darkness and all offer HD detail for exceptional image quality. Some of th e external cameras include analytics software which make it particularly easy for staff to analyse a scene and identify suspicious people and vehicles. The school has a one year support and maintenance contract with Ecl-ips together with remote support if needed. “Everything is working as we’d expect at the moment, but having the service contract in place gives us peace of mind if anything does go wrong,” said Youssef.